The SEC has announced the settlement by a former vice president at Ocwen Financial of charges that he engaged in insider trading surrounding three separate events based on material nonpublic information obtained through his employment. Bryan Ziegenfuse was the former vice president of servicing at Ocwen. The SEC alleged that he traded in advance of the Feb. 27 announcement that Ocwen would acquire PHH. The SEC claimed that Ziegenfuse was copied on emails leading up to the announcement and was privy to discussions about it. Ziegenfuse bought shares and options in a family member's account in advance of the announcement, which triggered a 24% increase in PHH's stock price from the prior day's closing price. As a result, Ziegenfuse earned an illicit profit of $36,310. In addition, the SEC alleged that Ziegenfuse used material nonpublic information obtained through his employment to trade in advance of two additional public announcements that impacted the share price of Ocwen and an Ocwen service provider, ASPS. According to the complaint, his illegal profits totaled $64,065. 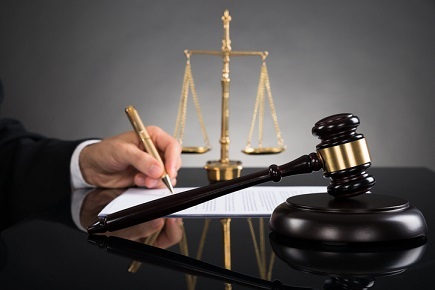 Under the settlement, Ziegenfuse agreed to the entry of a final judgment permanently enjoining him from future violations of antifraud provisions without admitting or denying the allegations. He also agreed to disgorge his ill-gotten gains plus interest and pay a penalty equal to the disgorgement amount.